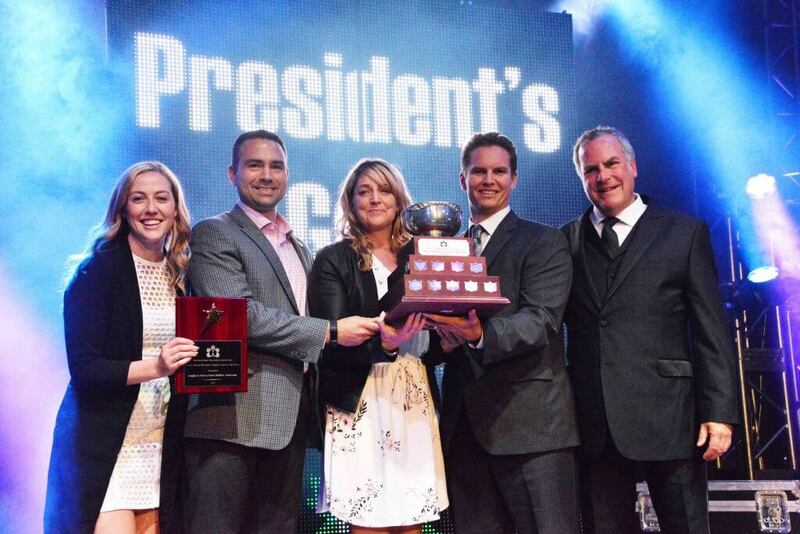 When they announced us as the winner of Local Association of the Year at the OHBA President’s Gala and listed our accolades, it really brought home all that we have achieved in the past year. We’re immensely proud and honoured to receive this award,” says Stacy Cooper, Executive Officer of the Guelph and District Home Builders’ Association (GDHBA). First and foremost among the local’s accomplishments is the enthusiasm and pioneering spirit of its members in advancing Net Zero Energy (NZE) home building and technology. “Steve Wright of Wrighthaven Homes laid the groundwork and got the ball rolling with his NZE building practices,” notes Cooper. “Jennifer Weatherston, Director of Innovation with Reid’s Heritage Homes [builders of five NZE homes in Guelph’s Westminster Woods community], played an integral part in advancing NZE. This year, she received the EnerQuality Leader of the Year Award. “We like to say that we’re ground zero for net zero. The biggest players in the field are all here,” adds Cooper. Among that group is building science authority Andy Oding of Building Knowledge Canada, who was involved in the building of GDHBA member Reid’s and Whitehaven NZE homes, as well as Andy Goyda, Canadian Builder Lead with Owens Corning Canada, who played a vital role in Canada’s Net Zero Energy Project, which involved Goyda’s company, Natural Resources Canada, and 25 builders across the country. “Five of our association’s members, including Andy, are active participants in the Canadian Home Builders’ Association Net Zero Energy Council,” Cooper adds. GDHBA members were also instrumental in gaining impressive media coverage locally and nationally for Guelph’s NZE accomplishments, advises Cooper. “Our association made it all possible through facilitation, collaboration and sharing best practices with the industry. Together, we’re a powerful advocacy group.” Those achievements aside, the GDHBA has been actively involved in engagement and outreach with its community and local government. “Beyond their own membership, GDHBA also seeks to connect meaningfully with the community by initiating various local in-kind sponsorships, hosting product showcase and dinner meetings open to the public, and partnering with school boards to pilot a co-op program to better expose students and parents to skilled trades,” observed OHBA President Pierre Dufresne at the President’s Gala. The association continues to be intensively engaged with the City of Guelph, meeting and corresponding regularly with City officials as well as local MPs and MPPs to discuss building industry issues. In its efforts to foster skilled trades in the community, the GDHBA, in partnership with the Upper Grand District School Board, established a pilot program to educate elementary and Grade 9 students and their parents on the popular misconceptions and positive attributes of working in skilled trades. On October 26, key GDHBA members hosted the first Residential Construction Day for co-op students. “So far, our skilled trades pilot program has been a huge success—so much so that we plan to implement it in schools across Ontario and maybe eventually Canada-wide,” says Cooper.